IT is undergoing a sea change, thanks to shifting budgets and the rise of ‘shadow IT.’ But with company-wide vision, strong IT-business relationships and a focus on value, CIOs can expand their horizons. You might think that the CIO of a billion-dollar business would have nothing good to say about shadow IT. After all, rogue deployments have been keeping senior IT execs up at night for years, wondering if those a la carte antics will open the gates to a major security breach or break applications across the network. But that’s not at all how Ian Pitt, CIO of LogMeIn, sees it. “Shadow IT keeps the IT people on their toes. It introduces competition and we learn that if we’re not delivering user requirements, users will look elsewhere,” he told CIO.com. “CIOs must be able to deliver value in measurable terms. 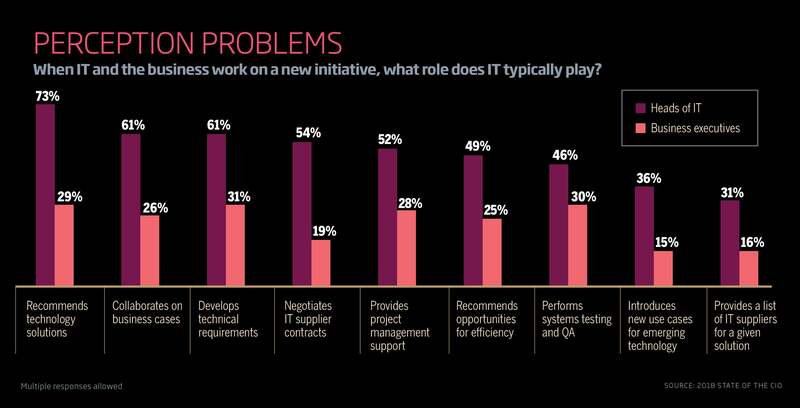 The CIO must move from back-office technology provider to front-office digital disrupter talking to clients within the business,” said Andrew Wilson, CIO of Accenture. Wilson made his remarks during a 2015 videotaped interview with Chad Quinn, president of Ecosystems, a business consultancy, which conducted more than 100 interviews with IT and finance execs from 92 companies. The interviews became the basis of a report that helped popularize the concept of value broker. Two years later, says Quinn, the trend has only accelerated, and woe unto the CIO who isn’t paying attention. Consider the high-level bloodletting in the IT department of Warburg Pincus last year after a Salesforce deployment went south. IT leadership had plenty of experience implementing Salesforce CRM applications but seemed stuck in the mindset of a “glorified contact manager,” says Warburg Pincus CTO Raj Kushwaha. That isn’t at all what the sales team needed, and the disconnect between IT and sales cost some IT execs their jobs, he adds. Understanding what the sales team needed was more than a matter of a quick meeting or two. The company’s new IT leadership adopted what Kushwaha calls an “outside-in approach,” based on starting with the customer (in this case the sales team) and working with them to a solution, rather than seeing the technology as the starting point. “Don’t try to explain the technology to the business units; talk to the business guys in terms they understand,” he says. Ultimately, IT and sales realized that what was needed was a set of applications to give sales people a historical view of everything about a customer and her historical interactions with Warburg Pincus, including deals she was involved in — and to make it available in real time. As a way to bring IT and the business units closer together at Driscoll’s, the multinational berry distributor, CIO Tom Cullen embedded senior IT leaders in business units. “It’s a new reporting structure. They have a foot in IT and a foot in business and help the units adhere to standards,” he says. It’s a given that technological change has always challenged IT and CIOs. But moves to SaaS, increasing reliance on the cloud, and the rise of big data and analytics have pushed CIOs into new territory. And when a business undergoes a major shift, be it a merger or restructure, the CIOs role becomes exponentially more difficult. When Informatica left Wall Street behind and became privately held in 2015, a major source of change and stress all by itself, it also opted for a sea change in its business model, recalls Graeme Thompson, the company’s senior vice president and CIO. Informatica moved to a modern subscription- and cloud-based sales model, rather than relying on license and maintenance revenue. “All our processes had to change,” he says. “We’re no longer just tracking an initial deal, shipping the software and hoping [the customer] pays the maintenance. Now we have to track how the customer uses the product, because renewal is our key metric.” If, for example, Informatica sells five Salesforce connectors to a client, it needs to understand why only three are being used, which means the customer probably won’t renew them, Graeme says. Those changes went to the heart of Informatica’s business process, and a CIO who didn’t have a view of the company as a whole couldn’t have succeeded. “Simply being efficient [in running an IT operation] is no longer enough. Boards looking to optimize operations need someone who can see across all of the company functions — and that’s the CEO and now the CIO,” says Graeme. “A new mindset accompanies the shift in the CIO role, as the value of the CIO is no longer determined by the number of people in the IT organization or the amount of assets over which the CIO has control.” Ecosystem’s Quinn wrote in his 2015 white paper. To better understand what that means, consider this prediction by Gartner analyst David Willis: At the beginning of this decade, technology spending outside of IT was 20 percent of total technology spending. By the end of the decade that figure could soar to 90 percent, he said. That prediction might well be overstated — though it’s likely directionally correct — and it isn’t clear how much of the spending by business units goes to authorized projects and how much to shadow projects. In any case, though, IT execs need to come to grips with the shift in power. When it comes to shadow IT, says Driscoll’s Cullen, “We don’t want to send in the police. The more you say no, the more it pops up.” Security, he adds, is an exception, and IT will crack down if it’s compromised. Cloud services, notes LogMeIn’s Pitt, make it all the easier to run rogue applications without being noticed by IT. Indeed, Cisco last year purchased a company called Cloudlock whose product of the same name provides security within the cloud and can also be used to control rogue applications and services, says Kip Compton, vice president of Cisco's cloud platform. CIOs don’t want to simply lock down all of those services; some are beneficial. But they need a measure of control, he says. 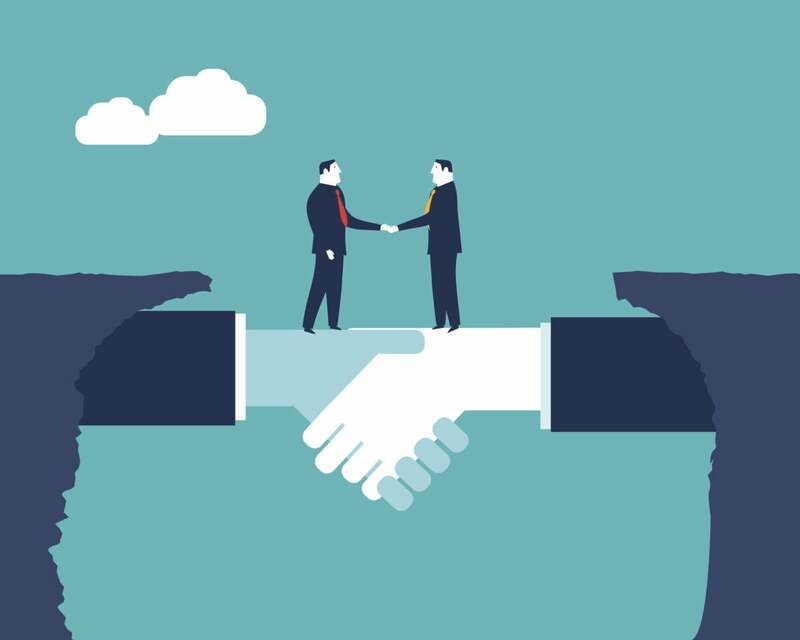 When it comes to authorized projects, CIOs need to develop a more collegial relationship with the business units, says Dean Demos, CIO of the Combined Insurance Company of America, which is part of Chubb. Demos and his team host “innovation days” in which they show new technology to senior business managers and sometimes invite vendors to demonstrate their products at those meetings. “We rely on the business units to understand the customer. You can’t set yourself up as an expert on everything,” he says. And sometimes users have ideas that IT adopts. At LogMeIn, IT has adopted Slack, “an idea sourced from users,” Pitt says. 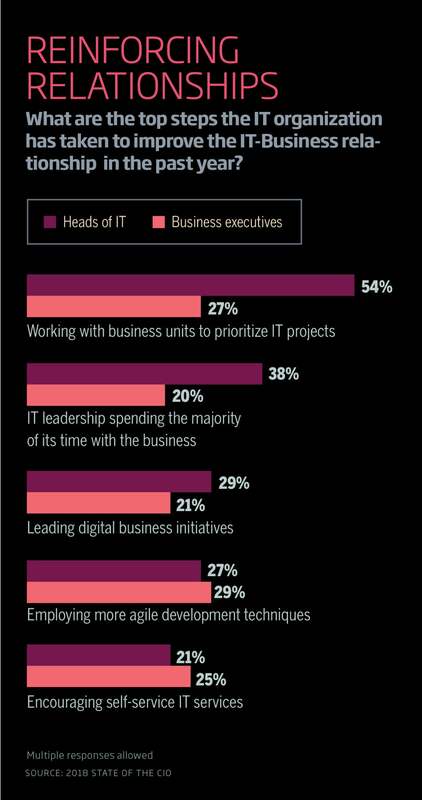 And IT execs who work closely with a business unit can help them set realistic goals for technology they plan to deploy. “Keeping the lights on” is a metaphor IT people often use when talking about their day-to-day responsibilities. But “any CIO who is just thinking about keeping the lights on won’t be CIO for very long,” Pitt says. “The bar for technical acumen has gone up for CIOs and CTOs. There used to be point solutions to master, then best-in-class solutions and now with the cloud and SaaS we are back to point solutions. The CIO has to understand thousands of them,” says Warburg Pincus’s Kushwaha. And that, of course, implies that the CIO has to juggle more relationships with providers of those point solutions. As if keeping abreast of all that new technology and legions of vendors wasn’t tough enough, and time-consuming enough, Kushwaha says earning an MBA is “absolutely critical. It gives them the vernacular to have the conversation with business.” And whether she learns them in a graduate school or elsewhere, the value broker needs to learn the skills of diplomacy and communications, because working across an enterprise is very different than simply running an IT department. This story, "Modernizing IT: How to thrive as a CIO ‘value broker’" was originally published by CIO.